The road to Tigray is closed for several days now according to a report by Voice of America Amharic service. 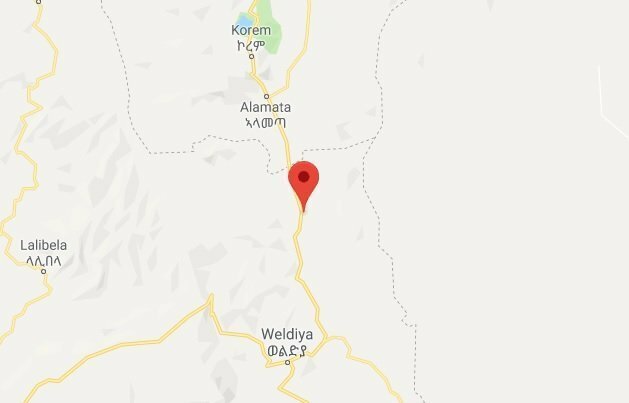 The report which is published yesterday said that the road linking Tigray and Amhara regional states (And this is the major road to and from Tigray) of Ethiopia is closed in Kobo region. Vehicles have been unable to move freely for about four days now due to the closure. Youth from Kobo region are linked to it and it is meant to be a show of resistance to the arrests of people from Alamata, seemingly in connection with Raya Identity Question which Tigray regional state is trying to suppress in by force. North Wollo police department is trying to resolve the impasse peacefully, added the report by VOA Amharic. Residents of Alamata told radio station that the road closure has become a problem for their economic activity. Mobilization like moves in the two regions are causing concern that a war could broke out between the two regions. The Federal governmet does not seem to be acting proactively to avert conflict in the region.